The mini bulbs give a traditional Christmas look. Use the lights inside your home or in the yard. 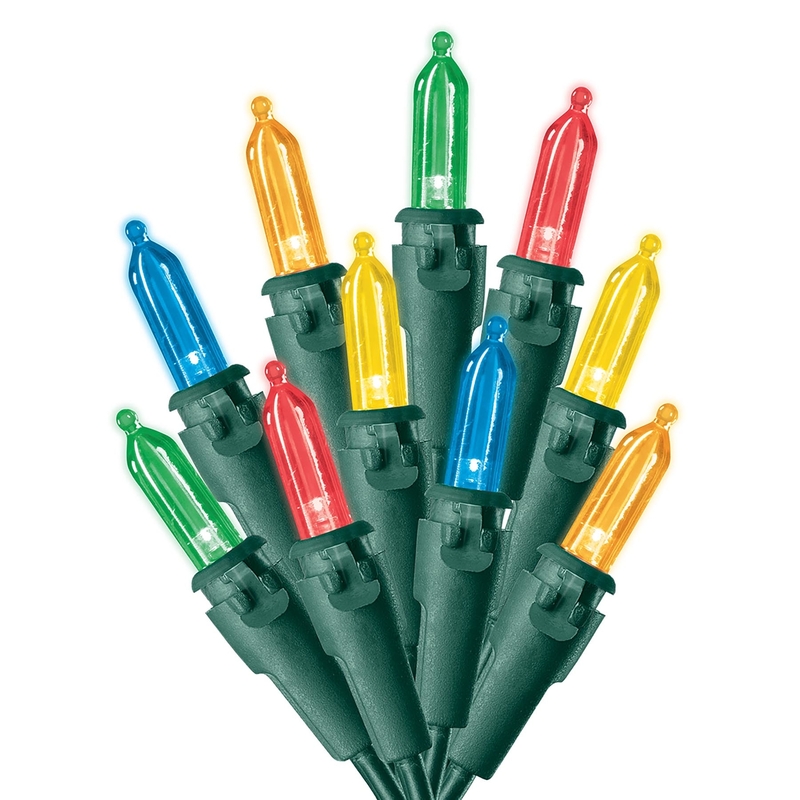 This is a steady illuminating LED string light set from Celebrations.